With 18 years experience as a clinical psychologist working in both the public health sector and private practice settings in Perth, Sydney and Adelaide Rachael has developed an ability to engage with people from a wide range of backgrounds, ethnicities and age groups. She is experienced and passionate about working with adolescents, adults and families with a broad range of issues. Please note that Rachael is currently not taking new clients. Rachael is commencing some well earned long service leave in June 2018. Rachael approaches her work with clients in a flexible and collaborative manner working towards identifying the areas of greatest concern early in her interactions to ensure a focus on the nature of what is most impacting their lives. She is respectful of her clients’ readiness for change and paces her sessions to build greater confidence for them to take risks and experiment with alternative ways of approaching challenging circumstances and engage in active problem solving. Rachael approaches her work with clients in a non-judgemental and accepting manner that expresses a genuine interest and concern for their well-being and ability to reach their full potential. Rachael has been trained to apply a range of models of intervention and attended workshops to develop skills using various therapeutic approaches. 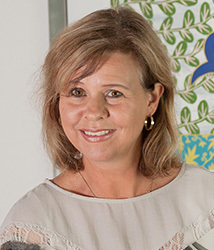 Her practice integrates Acceptance and Commitment Therapy (ACT) with Mindfulness-based techniques, CBT, Schema Therapy, Solution Focused Therapy, Motivational Interviewing and Relapse Prevention strategies, Compassion Focused Therapy and trauma-based treatment including Imagery Rescripting and Reprocessing techniques.